In 1995, the local non-governmental organization Velebit Association Kuterevo was founded. The vision of the organization is the sustainability of the natural ecosystem and the local mountain community. 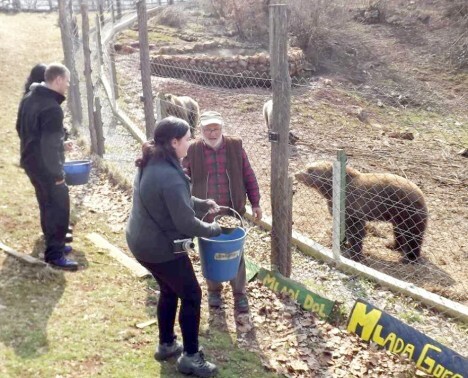 Its mission is to provide refuge for orphaned bear cubs, protect their habitat and promote the sustainable living traditions of the local mountain community. For the project, trainees need to be ready to help, to follow the tasks and respecting the values of the organisation. The village of Kuterevo is located in the region Lika in the mountain range of Velebit. It is situated 16km from the closest town, Otocac. We can arrange a lot of food in the village (homemade cheese, eggs, fruits, etc. ), the rest of necessary thing we can buy in Otocac but we have also one small market in the village. Close to Kuterevo, there is the Northern Velebit National Park; we have seven National Parks in Croatia.